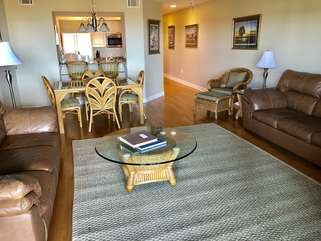 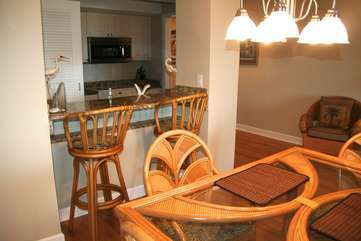 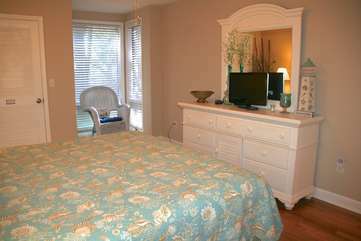 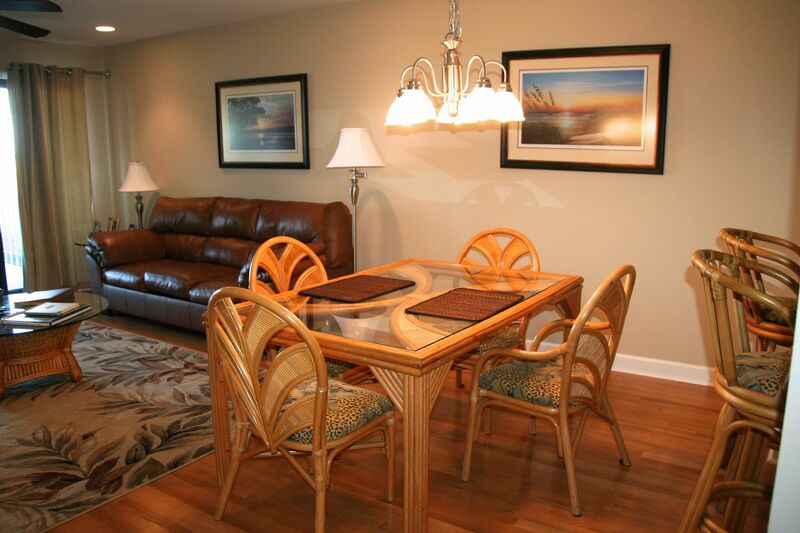 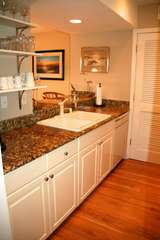 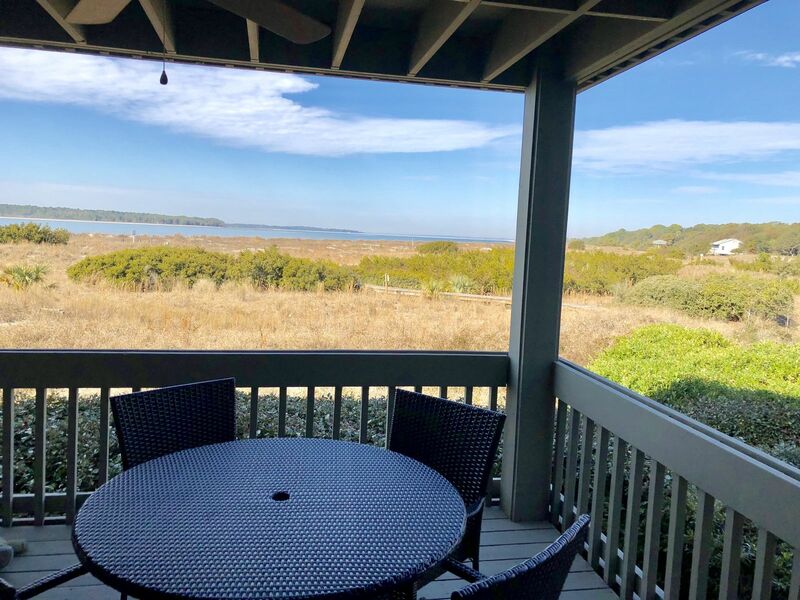 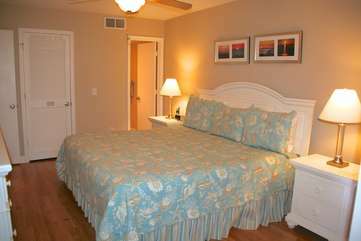 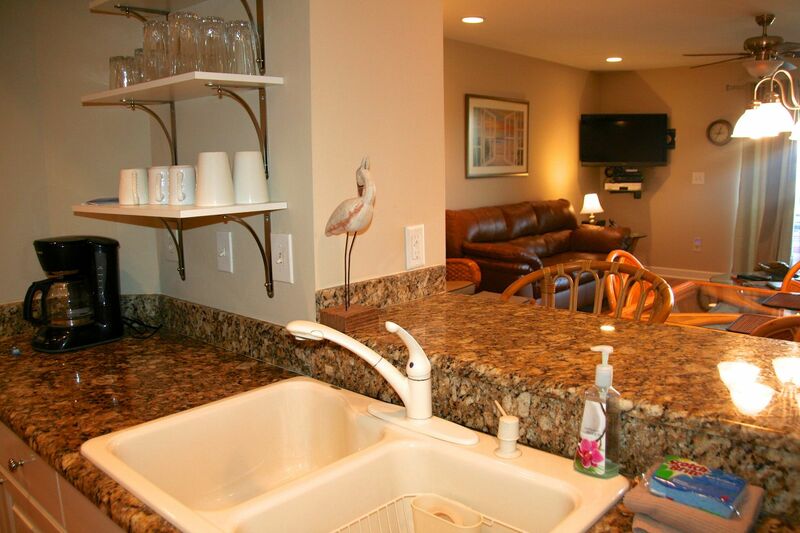 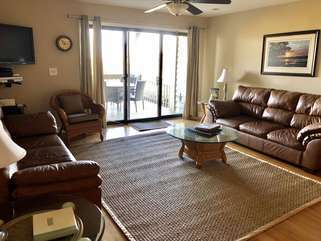 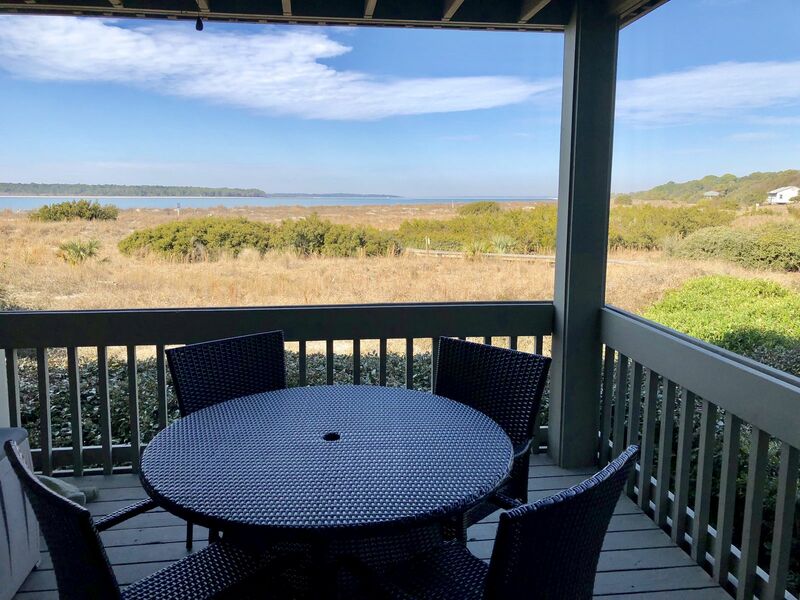 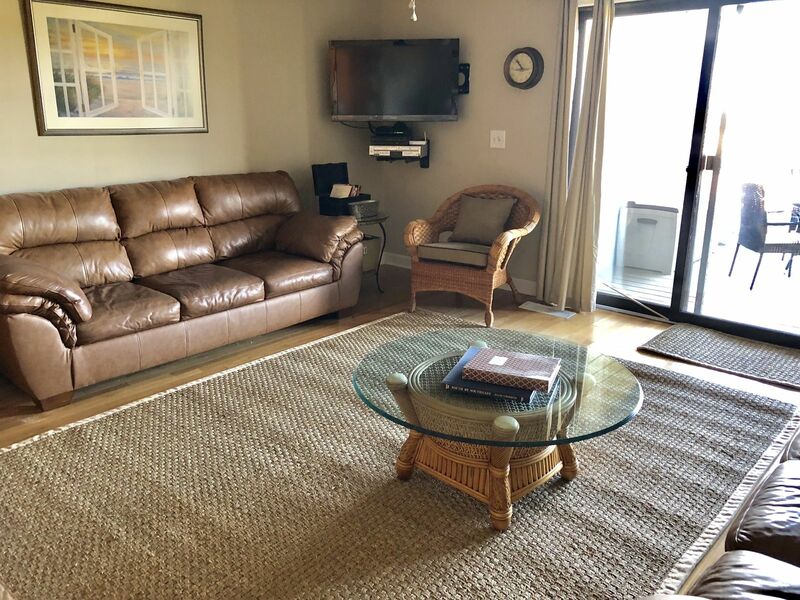 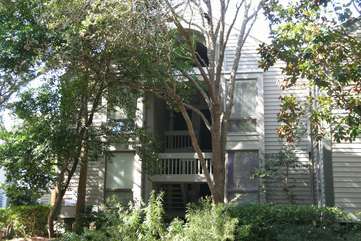 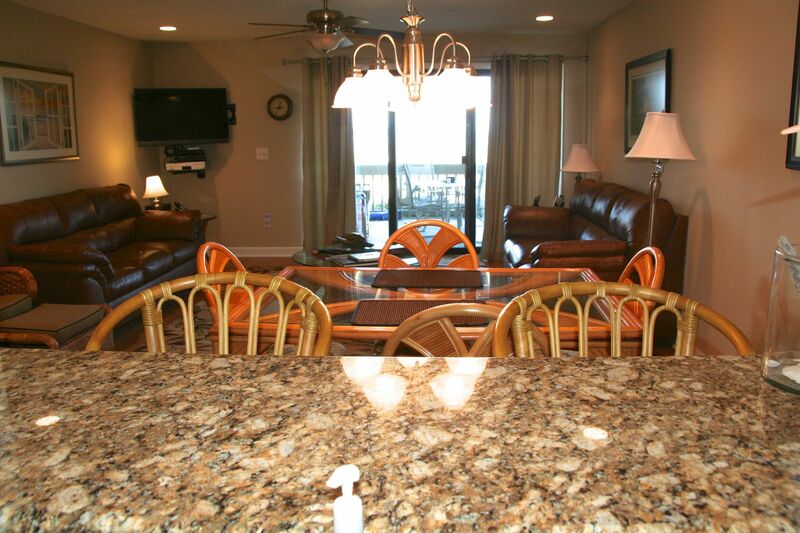 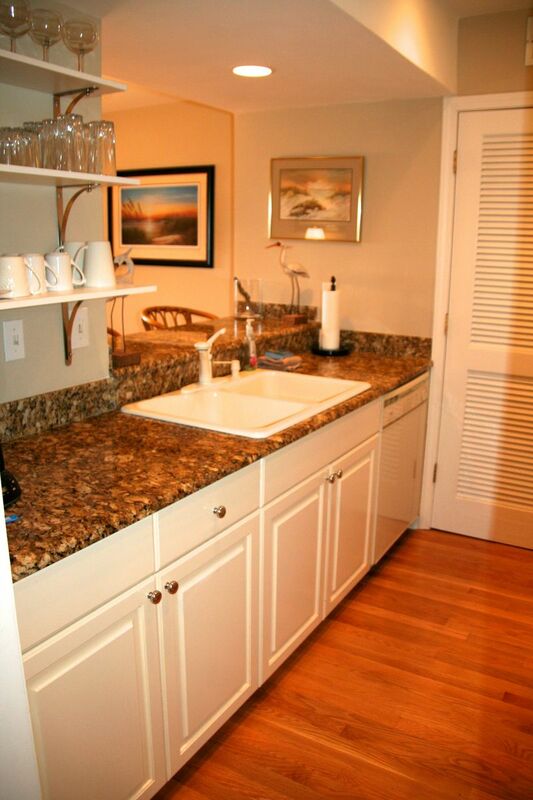 This lovely one bedroom, 2 full bathrooms, first floor beachfront villa is located at Pelican Beach Villas on Seabrook Island. 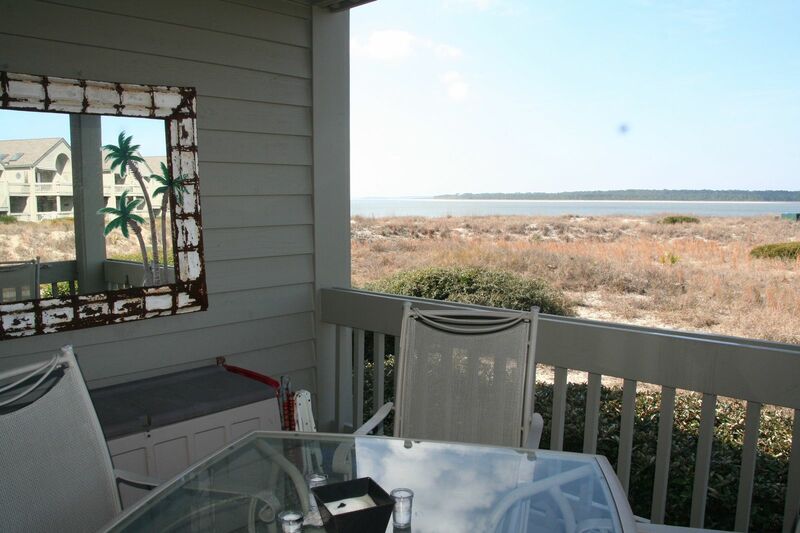 Enjoy the spectacular sunset view over the waters of the Edisto River from the deck after a day at the beach. 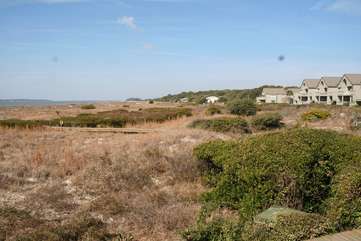 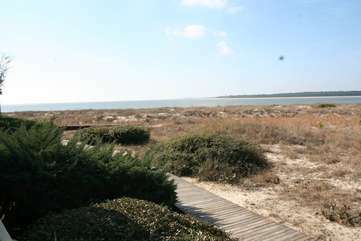 A boardwalk is located out the back door which takes you over the dunes to the beach. 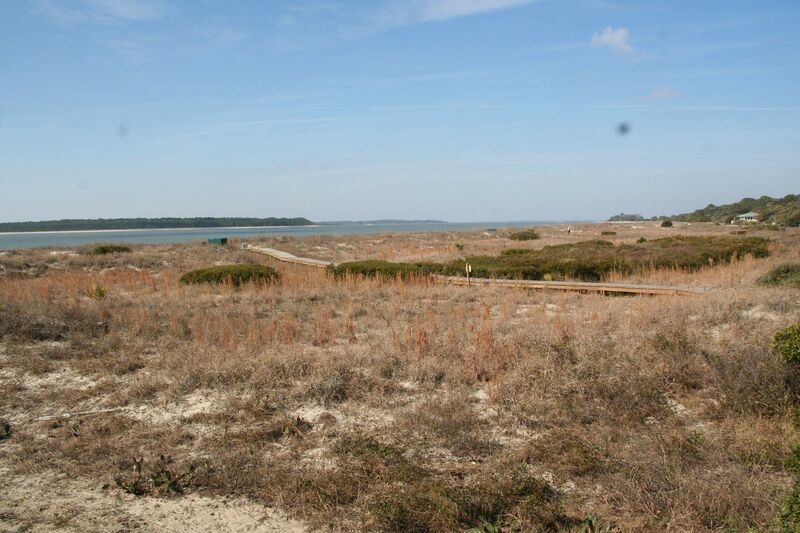 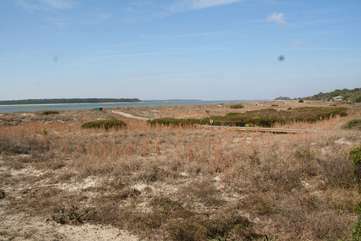 Seabrook Island is a gorgeous, natural, uncrowded, gated community. The beaches are pristine white sand, 3 1/2 miles long. Upon entry into this renovated villa, you will find the master bedroom. 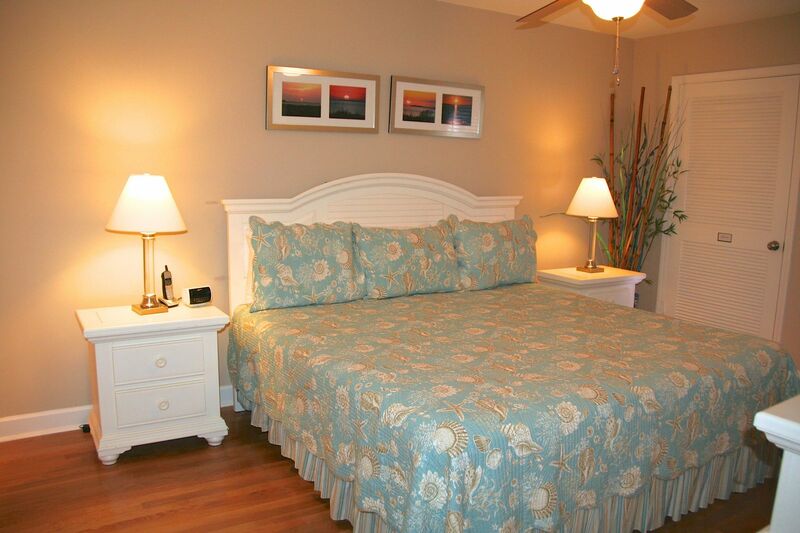 Sand colored walls and soothing ocean prints remind you that you are someplace special. 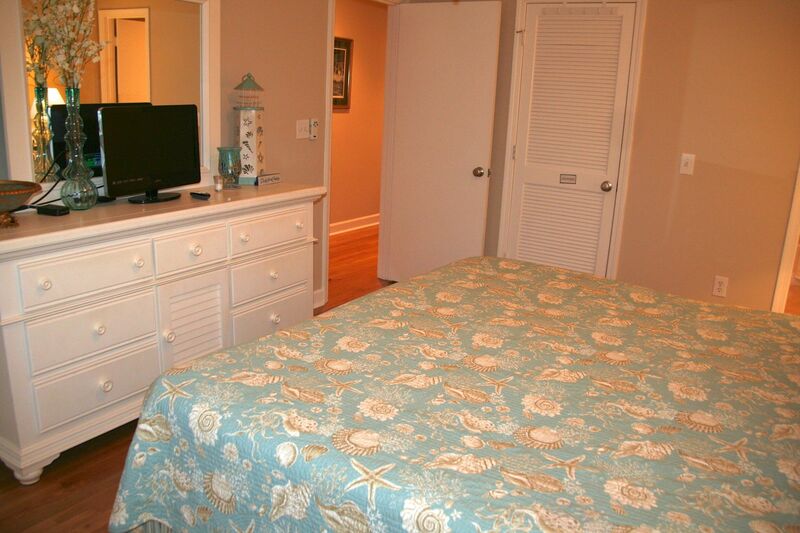 The bedroom has beautiful furnishings and a hi-def TV for viewing the morning news. 1339 Pelican Watch offers additional sleep accommodations with two sleeper sofas in the living area. The living room includes a big mounted hi-def television, DVD player, and Wifi for your computer. The dining area table seats 4 plus the breakfast bar has two additional seats. 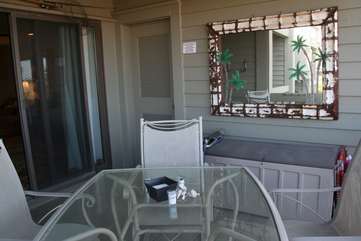 Take a step through the sliding doors to the deck over looking dunes and the water. 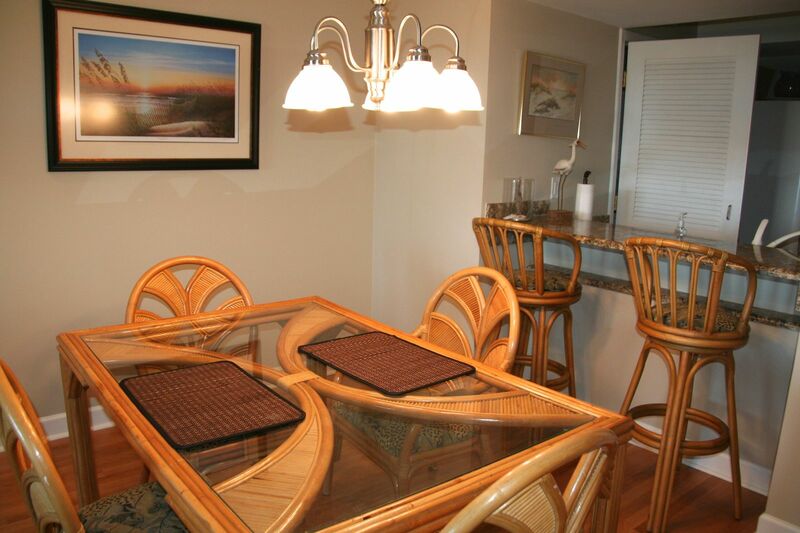 Perfect for a quiet dinner, relaxing with a good book, or enjoying the sunset over the Edisto River. 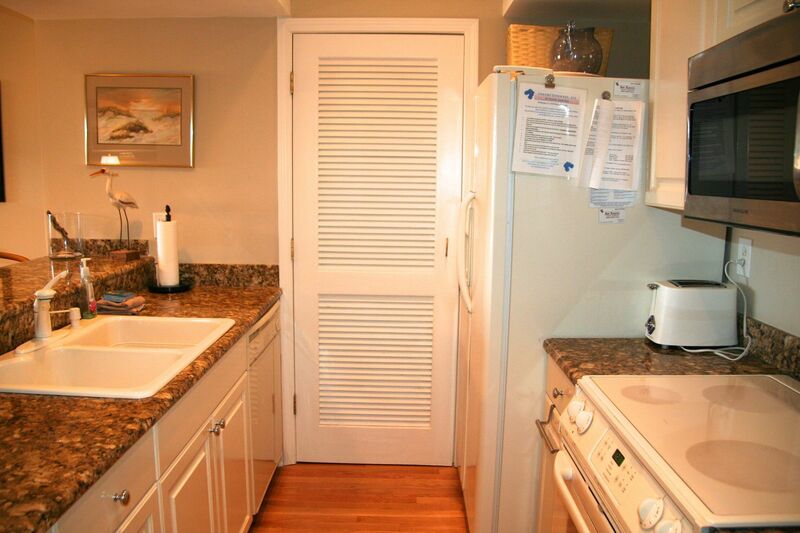 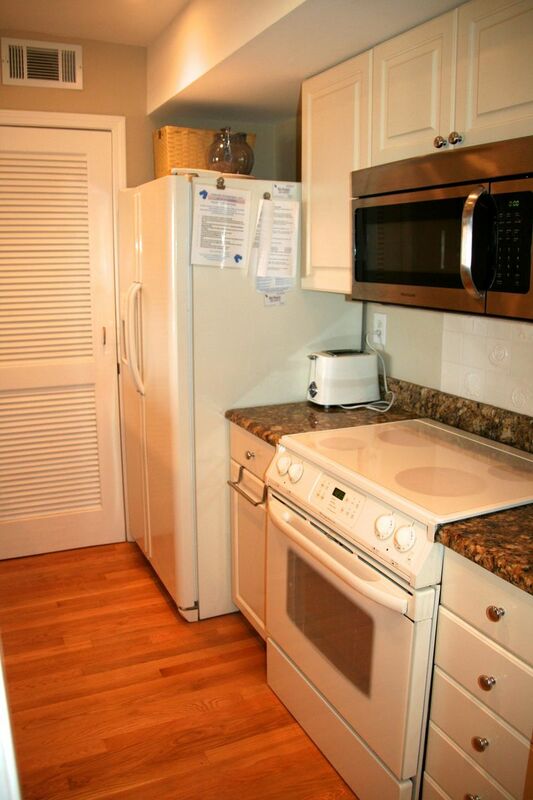 Amenity cards giving you access to the Seabrook Island Club are NOT available with this villa. 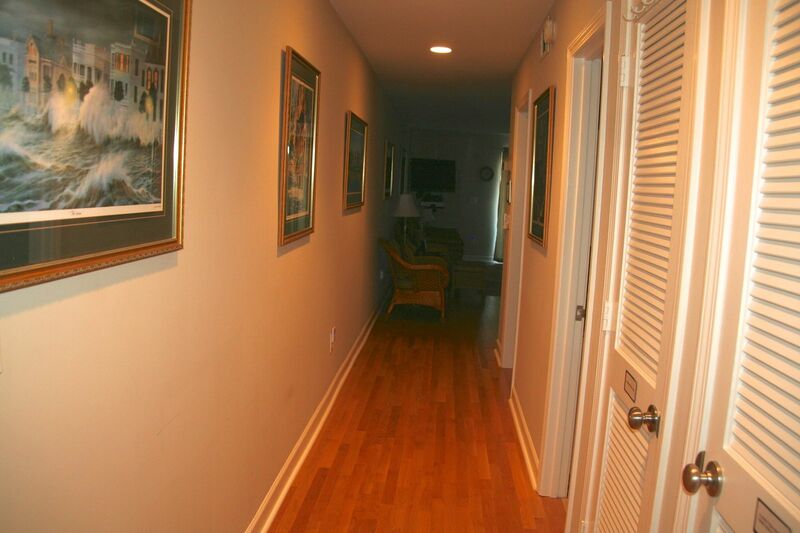 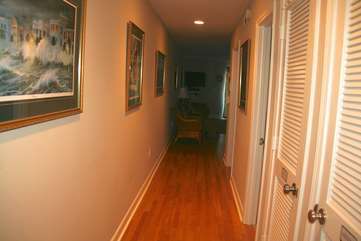 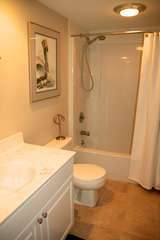 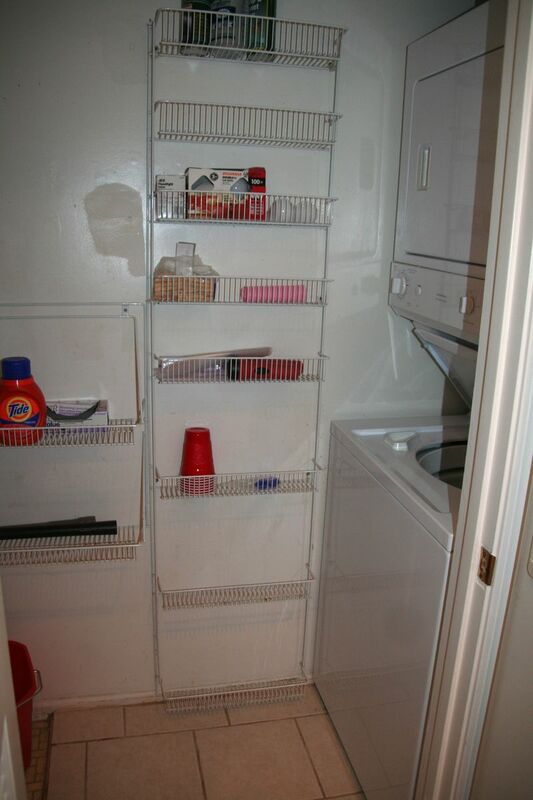 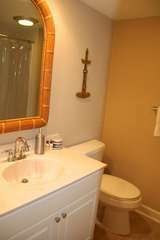 Passes to the Lake House facilities-- indoor (fee)/outdoor pool (no fee) and fitness center (fee) -- are included. 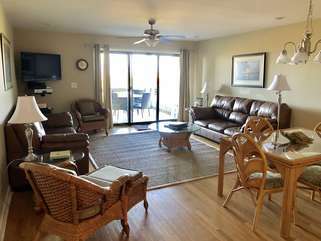 Additional fees are charged for all activities except outdoor pool usage. This is a pet friendly villa for your dog. 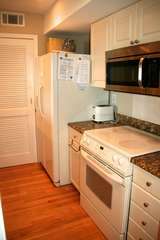 An additional fee to apply. 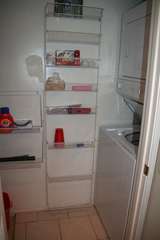 No cats or other animals are permitted. 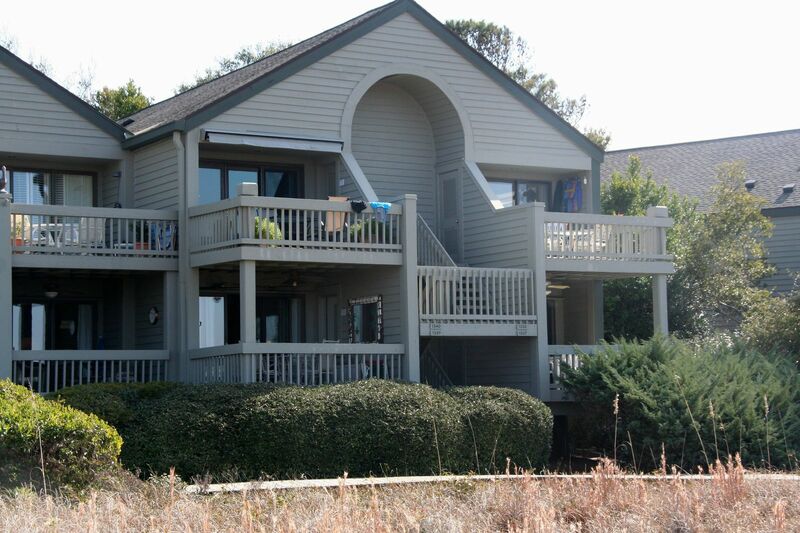 1339 Pelican Watch is a lovely villa to come relax with your family and friends while visiting Seabrook.